When someone dies, you need to get the legal right to deal with their property, money and possessions (their estate). Different situations have different processes for obtaining probate and the process can seem quite daunting, especially at a time when you are faced with loss and uncertainty. 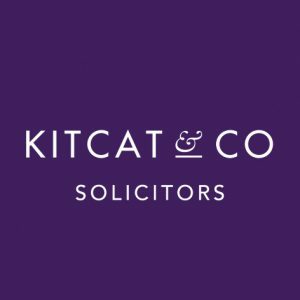 At Kitcat & Co Solicitors we are specialist probate solicitors in the Malvern area. We are ideally placed to help obtain the grant of probate, or, to take you through the full administration of the estate including obtaining the grant, dealing with any tax, collecting in assets, settling debts and distributing the estate. This will help speed the process up and ensure it is done correctly the first time providing you with full transparency and clarity. If there is a will, the named executor will need to apply for a grant of probate. A grant of probate is an official document issued by the court, which is usually needed to administer the estate. If there is no will, the process is more complicated. An application for a grant of letters of administration will need to be made through the courts. This process will determine who the administrator of the estate will be and is determined by a set order of priority. In addition to the sworn oath, there is a fee charged by the Probate Registry of £155 and 50p per sealed copy of the grant. Swearing oaths and statutory declarations: There is a statutory charge of £5 for the oath and £2 for any extra document that has to be marked. Personal Representative’s Advertisement: It is advisable for the personal representatives to place an advert in the local press and the London Gazette for the creditors of the deceased to come forward within two months of the notice. This usually costs between £160 and £200. To obtain the grant of probate only: In some cases the personal representatives can deal with most of the work but only need us to obtain the Grant of Probate or Letters of Administration. Here the cost will depend on the type of HMRC return or account needed. For the simpler IHT205 Return the cost is £850 plus disbursements. We will quote a fixed fee specific to the estate. This is usually a maximum of approximately 2% of the value of the estate plus disbursements such as the court fee. It is dependent on the complexity of the assets involved, for example if there are multiple shareholdings or assets overseas, there is going to be far more work involved than if there is just a property in joint names and a couple of bank accounts. At the start of the matter, we will need you to bring in details of the deceased’s assets and liabilities as well as information like their National Insurance number, their last address and any funeral expenses. We will write to all of the relevant financial and government institutions to establish the precise values of their assets (property, money, investments, insurance policies, etc) and liabilities (credit cards, debts, outstanding bills, care fees, funeral fees, etc) at the date of death. At this stage we can send the funeral account to the deceased’s bank for early settlement. I will use the financial details to prepare the estate accounts and to complete the necessary forms for HM Revenue & Customs. We will also draw up the probate oath and arrange for the swearing of the oath. Once this is done, I will submit all of the paperwork to HMRC and the Probate Registry. On receipt of the grant of representation I will write to all of the institutions to collect in the assets of the estate. Having collected sufficient money in, we will settle any remaining liabilities and look to begin distributing money under the will or intestacy. The deceased’s income tax position will be settled with HMRC. We can also take steps to sell or transfer any property at that stage. Property can be put on the market before the grant is issued, but we can only transfer it once we have the grant. At the end of the process I will provide the executors and the residuary beneficiaries with a complete set of estate accounts to give them a full picture of the estate. We will discuss the assets and liabilities of the estate at your initial meeting and provide you with a quote for completing the work. If during the course of the administration, it becomes clear that there is more work involved than initially anticipated, we will always discuss this with you before going ahead. Dealing with a probate requires the consideration of a range of important details so we have prepared a probate questionnaire for our clients to complete. This questionnaire points clients in the direction of the information that we will need in order to make our initial interview as productive as possible. The legal work on your matter will be conducted by David Kitcat. David obtained his BA LLB degree at Rhodes University in South Africa in 1993. He then travelled to England and in 1998 converted his South African degree to the English equivalent by completing the Common Professional Exam. In 1999 he completed the Legal Practice Course and then served a two year training contract with the firm of Pettman Smith in Knightsbridge. From 2001 to 2007 he worked at Hayes+Storr Solicitors in Norfolk before moving to Worcestershire. From 2007 and 2014 he worked with March & Edwards (later Stallard March & Edwards). From 2014 to 2016 he was a partner at Paytons Solicitors in Malvern. In 2017 he set up Kitcat & Co Solicitors. David has had close to 20 years experience in the field of wills, probate, trusts and powers of attorney. In any one year he will draft close to 200 wills, 50 Lasting Powers of Attorney and deal with up to 40 probate matters. The usual time for work in a probate matter is between 3 to 6 months. However, in more complex cases this can be a year or even longer and in very straightforward cases this can be as little as six weeks. 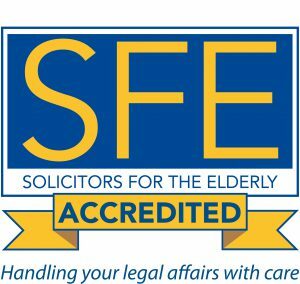 We are a local Malvern law firm specialising in wills, probate, power of attorney and trusts. Taking the time to discuss your individual circumstances ensures that we use our wealth of experience effectively to provide you with personal legal advice.